Comment: Color pack @ home URL. 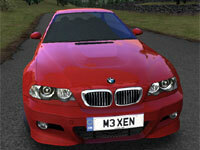 Work with Raven or copy one of the "m3_01.tga" files from "raven_variants"
RPM Pack, has rpm lights that go out. All cars, tracks, reviews, articles & tools are © they respective authors Page created in 0.014 seconds.